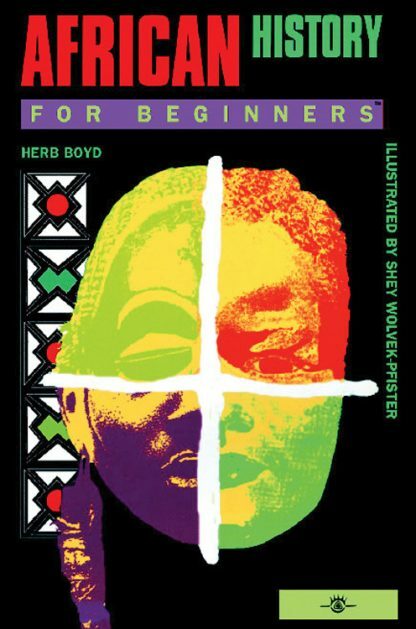 "African History For Beginners explores the rich history of this continent of contrasts. Discover the glory of the Pharaohs and Towers of Zimbabwe, the cosmology of the Yoruba, the courage of the Masai and the golden wonders of Mali, the art treasures of the Bushongo and the sophistication of the Egyptians. It is a unique documentary portrait of the Africans� struggle to preserve their cultural heritage and homeland. Recent archeological discoveries indicate that Africa was the birth place of humankind. Over the ages, the riches and wonders of Africa have attracted the world. Yet the Africans themselves often remained unknown or misunderstood. Here is a book to set the historical record straight." Herb Boyd is a journalist and teacher, and has authored and edited 22 books, including his own Civil Rights: Yesterday & Today. His book Baldwin's Harlem, a biography of James Baldwin, was a finalist for a 2009 NAACP Image Award. He teaches at the College of New Rochelle and City College New York, and is a correspondent for Free Speech TV.org. Shey Wolvek-Pfister is a painter and illustrator. This is her fourth For Beginners book.